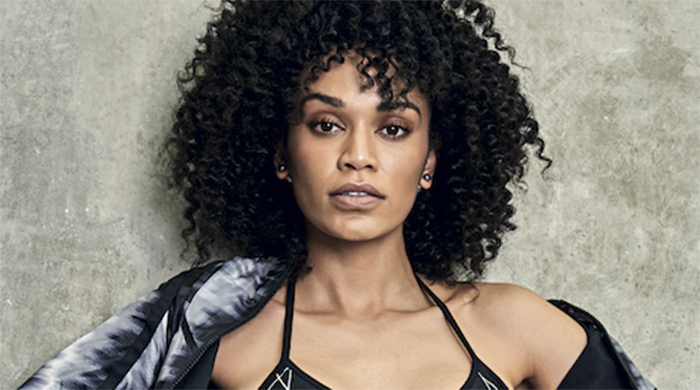 As media darling Pearl Thusi springs from her shuttle, all happy smiles and effortless beauty, it’s difficult to believe that she is struggling with jet lag. Back in South Africa while Quantico — the television series she is currently filming in New York — takes its Christmas break, she’s still on NY time. I’ve had a good eight hours of sleep and I’m not sure that I’m going to be able to match her energy. This abundant energy is how Pearl has achieved so much in her 28 years. Not only has the mom from Durban forged a successful modelling career, starred in movies, hosted TV and radio shows and now landed a role in internationally acclaimed television drama, Quantico, she has also carved out a career as a successful business woman with the launch of her own haircare range, Black Pearl Hair, and is a dedicated advocate for wildlife and domestic animals. As a former model and an actress, she’s used to the pressure of auditioning for jobs, “I’m never ever stressed about a gig,” she says. “But because Quantico contacted me, I just felt like if I mess this up, I’m giving it all up, I’m over this because, I mean, what else do I want? I had sleepless nights being like, ‘They found you, they asked you to audition, this means that they are willing to do what it takes to take you there. If you mess this up… There’s no hope!’” she laughs. Of course, she didn’t mess it up and now plays the part of Dayana Mampasi, a Type-A Zimbabwean lawyer who is being recruited by the CIA. The character is a good match for Pearl because “I always hear that I would’ve made a good lawyer from friends because I’m very quick to state my case.” The show features a diverse cast with actors of all nationalities, from former Women’s Health cover star, Priyanka Chopra (Indian) and Yasmine Al Massri (Palestinian-American) to Blair Underwood (American) and Russell Tovey (English). “It’s really incredible because we are learning so much — not just about each other, but about the world because everybody’s got these interesting opinions and the way we think is different,” she says. The cast have bonded together really well and Pearl attributes that to the fact that they are all in similar situations. “What really binds us together is that most of us are away from our families,” she explains. “I think that’s why we embrace each other so much — because we’re in the same boat.” For Pearl, the cast has fulfilled an important role in her life while she’s been in the States, “They’re my family,” she says. “I enjoy being at work more than being out because I feel like my friends and family are at work — the people I want to be with are at work,” she explains. “I work with phenomenally amazing, kind, giving, funny and extremely talented people,” she says. Back in SA, Pearl loves hitting up S.W.E.A.T. 1000 classes, but her busy and sometimes unpredictable schedule, combined with icy New York City weather conditions over the winter has forced her workout plan to evolve and become a lot more innovative. So, seizing every opportunity, she sneaks in what she can when she can. Her room in New York sits at the top of a long flight of stairs, so when she comes home with lots of bags, she gets in some cardio. “Sometimes I leave stuff behind and just run up and down the stairs to divide the load,” she explains. A jogging enthusiast, she’s learnt the hard way that in New York winter, running is more of an indoor sport. “It’s too freezing to try jog now — I literally couldn’t feel my legs. My skin was in pain it was so cold.” While her schedule has made it difficult to plan exercise, the uncertainty appeals to the actress. “I enjoy the consistency of the inconsistency in my life,” she says. “I really like the fun aspects, the spontaneity aspect of exercise. My career has forced me to enjoy those types of things because I never know what’s coming next,” she says.